Kim Reynolds inherited a half-term as governor when Terry Branstad resigned in May of 2017. Reynolds is relishing the gift of time voters gave her in November. 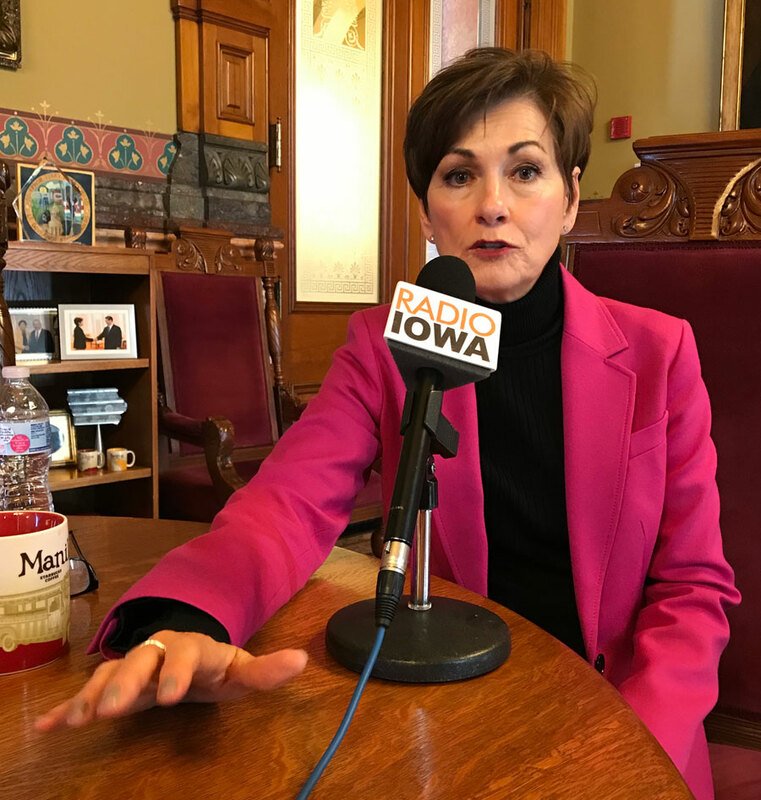 Reynolds said she has the time now to follow through on priorities like dramatically increasing the number of Iowans who have college degrees or technical training beyond high school. Reynolds has assembled a new leadership team within the governor’s office and she’s replacing some state agency administrators. And Reynolds aims to tackle the “antiquated technology” in state government. The governor joked most state computers are running on COBOL — widely viewed as an outdated computer language. Upgrades are expensive, but the governor said it’s something to start discussing. Part of Reynolds’ job, as governor, is to deliver the annual “Condition of the State” speech to legislators. That happens tomorrow morning, starting at 10. Inauguration festivities are on Friday. She’ll take the oath of office on Friday morning. Open houses will follow at the governor’s mansion and the state capitol, then there will be two inaugural balls in Des Moines Friday night.